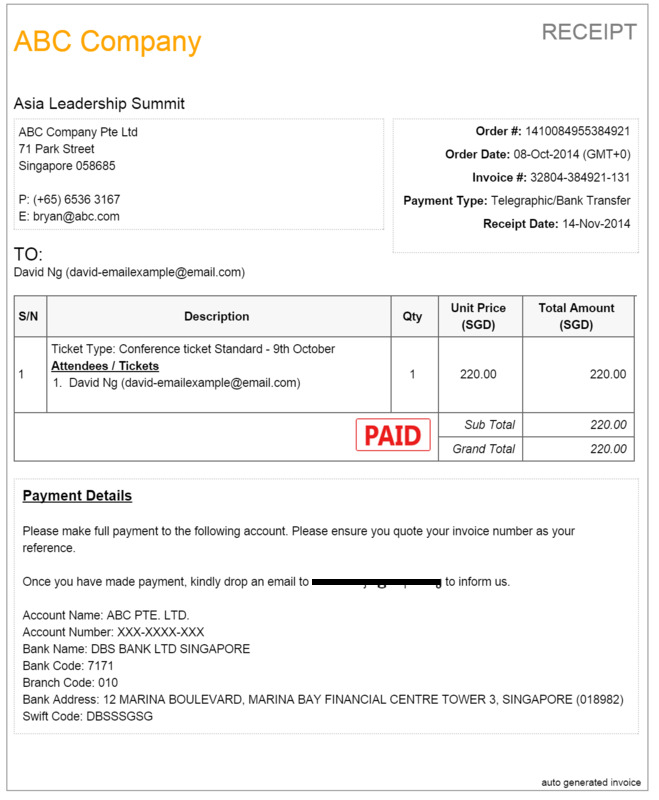 Can I have customized invoices and receipts for my event? 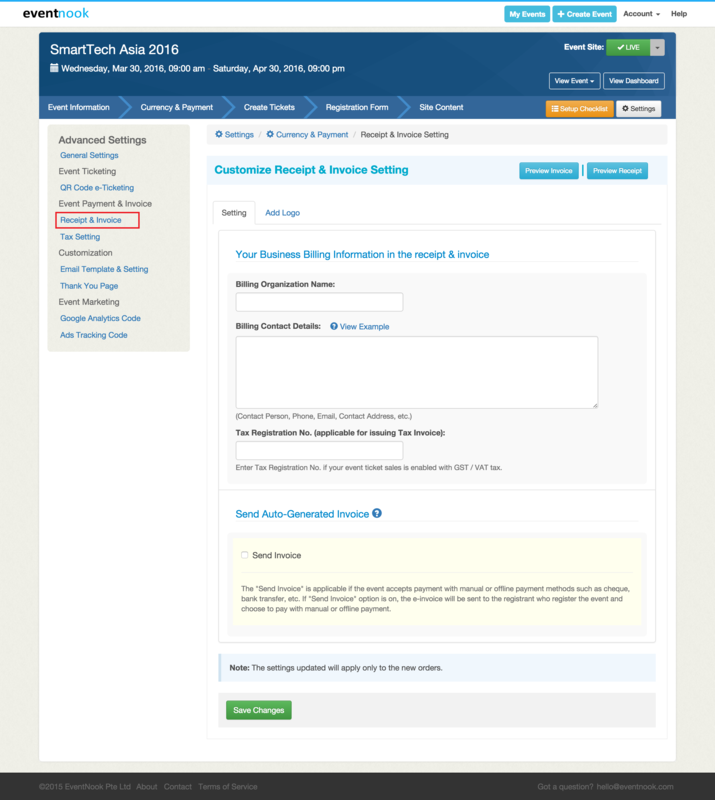 EventNook’s invoicing feature enables event oraganizers to issue invoices to attendees. This is particularly useful for those organizers when attendee's company pays the registration fee usually need to issue invoices. PRO Package users may access this function by clicking on the Receipt & Invoice Setting under the Settings option. Users can edit details such as their Billing Organisation Name, Billing Contact Details and Tax Registration Number. If they choose to, users may also "send invoice" if it is applicable. Adding of the company/event logo is also possible. Cutomization of invoices and receipts is a feature available to PRO Package users only. PRO Package users may access this function by clicking on the Receipt & Invoice Setting under the Settings option.